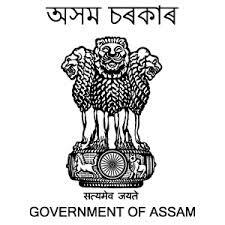 Kamrup District Administration Recruitment Notification 2017 : Kamrup Administration has Published New Notification has Kamrup District Administration 190 Home Guard Jobs Recruitment Notifiaction 2017 . Filing the Vacancies up last date to apply online 30 June 2017 . All Eligibility Candidates can apply Online Application Through Official website kamrup.nic.in and alljobalert.in . The District Administration is headed by the Deputy Commissioner. He also acts as the Collector in case of Revenue matters, as District Magistrate in case of maintenance of Law and Order and General Administration, as District Election Officer in case of conduct of Election and so on. The Deputy Commissioner is aided by a number of Officers like Additional Deputy Commissioner, Sub-divisional Officers, Extra Assistant Commissioners and others. Candidates must Class VIII passed from recognized institute and must have Home Guards Volunteer Certificate from Kamrup District. Age of the contender should not be more than 55 years but if the candidates are having the age below 35 years such applicants will be given preference. Contenders who have interst in applying these posts must check official advertisement for application fee details. As per our knowledge there is no application fee. We recommend the candidates to visit the Official site of the Kamrup District Administration HERE. Check for the Kamrup District Administration 190 Home Guard Volunteer Recruitment 2017 notification/ Download it from the link provided on this page. Read all the instructions and Qualifications. If eligible download the Online Application Form. Send the application form along with the Necessary Documents to the below-given email Address on or before the last date.